Which Mascara and Eye Pencil is the Best for Grey-Blue Eyes? Girls who have grey-blue eyes are very lucky. Nature has presented them with a very beautiful color of their eyes. In addition it is very easy for them to choose different variants of make-up in order to create different characters all the time. The main feature of grey-blue eyes is the fact that they are able to change their color in accordance with the mood of their owner. It enables a woman to change her appearance and look. All you need is to use contact lenses of different colors. In addition professional make-up will also let you express the whole depth of your eyes as well as their shine. You are able to choose any color you like. Which Mascara and Eyeliner is the Best for Blue-Gray Eyes? 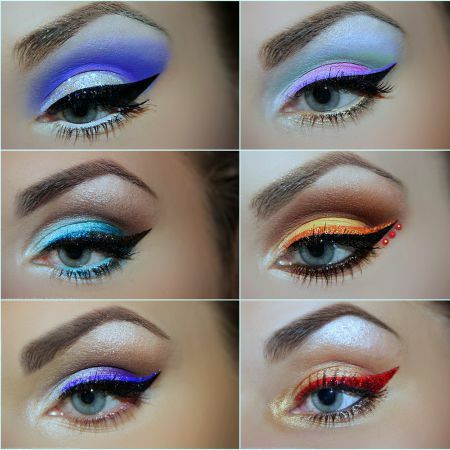 You need to follow very easy rules while choosing a make-up that will suit our grey-blue eyes. You should divide your daily make-up from evening make-up as they differ from each other a lot. Don’t forget to take into consideration lots of other important details such as lights in the room, color of your hair and sometimes even dress. In addition you are recommended to use cosmetics of the highest quality in order to become beautiful and attractive without detriment to your health. What is the best way to stress the tone of your eyes and what mascara and eye pencil will help your eyes shine with grey and blue? If you want to make your eyes as grey as steel you will need grey and silver shadows. Black is the best color for mascara in such situation. You should make your lashes very bright. Colored mascara will not turn out to be a god helper. However some of them will provide you with a chance to create the effect of light attraction which is a very fashionable trend nowadays. It creates different visual effects which are very popular. In addition they make the color of your eyes brighter and more expressive. L’Oreal’s Volume Million Lashes Luminizer would be the best choice from this point of view as well as Eye Brightening Tonal Black Volumising Mascara from Max factor. Both of these mascaras add the effect of emerald shinning. In addition they create the effect of frame, which make the tone of your eyes brighter and more intensive. If you like blue color more, then you should try Wonder Lash Eye Enhancer Mascara which is presented by Oriflame. It main feature is its Purple Shimmer tone which will add a shining blue color to your lashes, which will stress the natural color of your eyes. 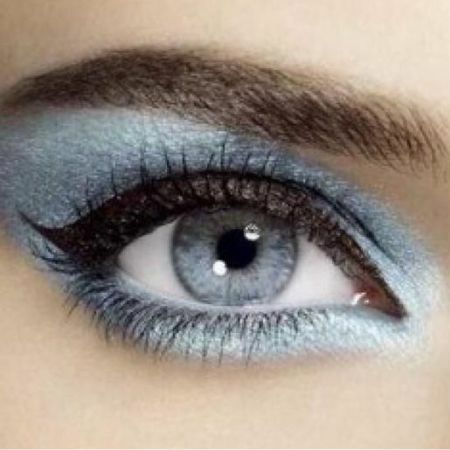 Grey-blue eyes are very spectacle to make-up. That is why you need to be very careful while creating your own character. 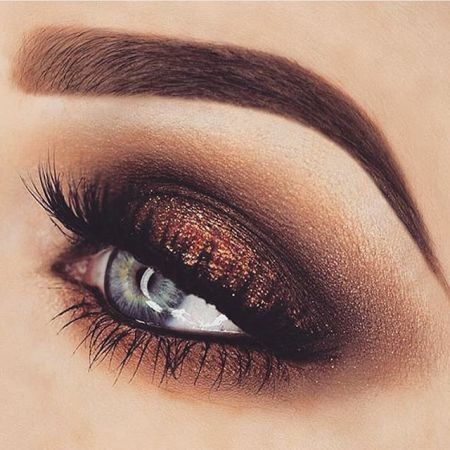 If you want to make your eyes teal you will need teal eyeliner and grey shadows that will help you to create teal tone that will be the same as Angelica’s look in a very famous novel. Blue, grey and silver-grey eyeliners will also be very useful for those who want to stress the color of their eyes. Another good variant of make-up is smoky eyes. It would be the best bet for your evening make-up. The main idea of this make-up is focusing on the lower eyelid and its frame. You will need several layers of mascara. You are also recommended to curl your eyelashes. In addition you can also use false lashes that will also turn out to be good helpers. If you want to find your ideal make-up you need to try different variants until you find the one which will turn out to be perfect and appropriate for you. Like the article «Which Mascara and Eye Pencil is the Best for Grey-Blue Eyes?»? Share it with friends!